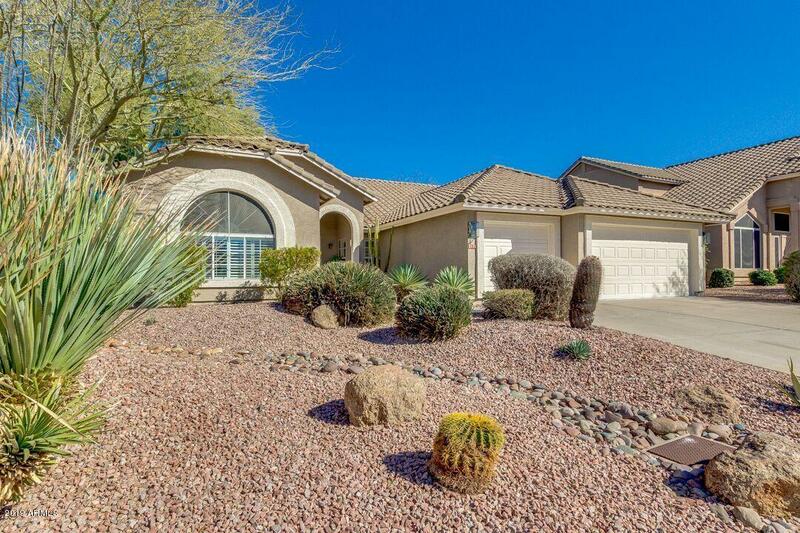 Beautiful single level, 3 car garage home backing to golf course; with views of Red Mountain from the sparkling, newly refinished pebble tech pool and spa! 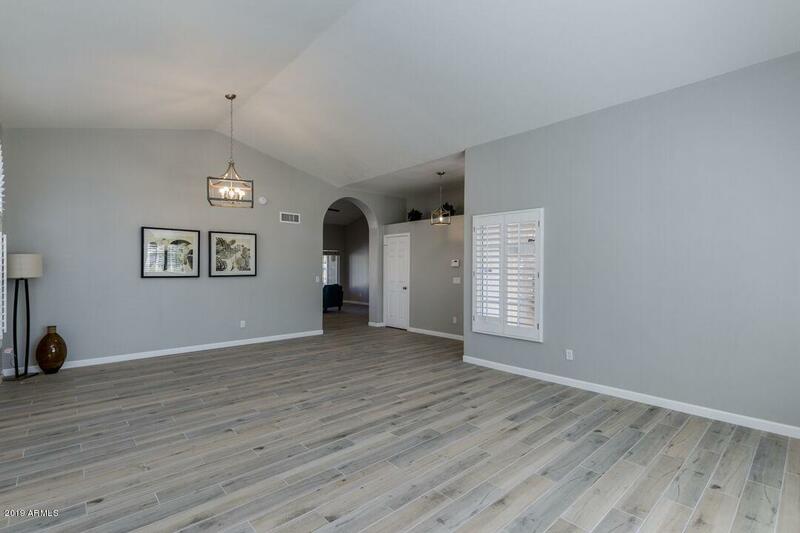 This gorgeous home features the latest modern finishes which include: wood plank tile throughout, beautiful soft close cabinets with 42'' uppers, white ice quartz countertops, large kitchen island and tub sink with touchless faucet. 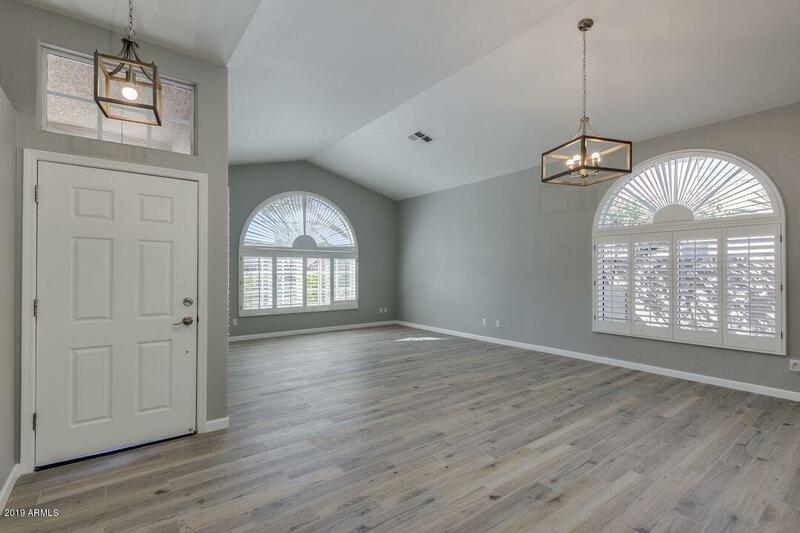 Bathrooms have been refinished with stunning spa-like tile surrounds and a whirlpool tub in the master. 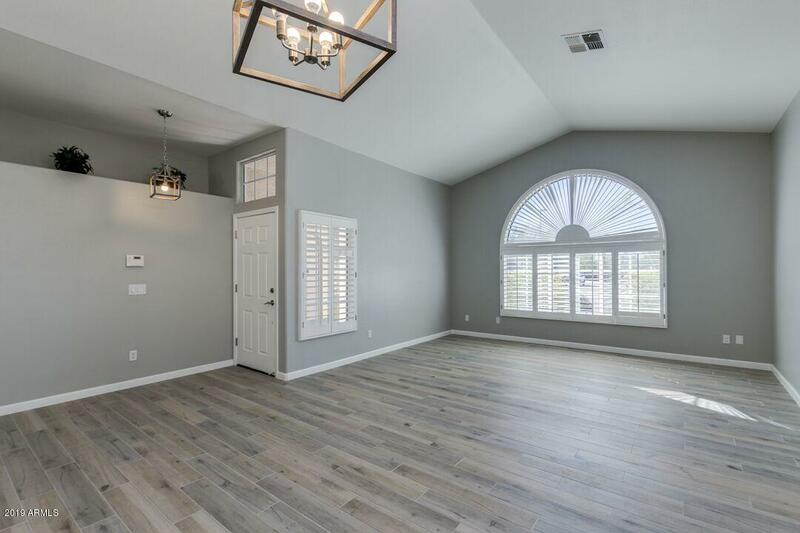 This home is light and bright with spacious bedrooms and large open concept.